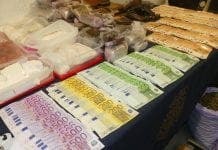 A BRITISH expat accused of being the lynchpin behind the biggest onshore seizure of drugs for nearly two decades was simply in ‘the wrong place at the wrong time’. Sources close to the businessman, 41, insisted he was nowhere near a Galicia hotel at the time he is alleged to have negotiated the delivery of 3,000kg of cocaine to the Costa del Sol. The man, who we are not naming for legal reasons, was arrested during a police raid on a bar in Marbella alongside the two suspected Dutch suppliers, as part of ‘Operation Sweet’. 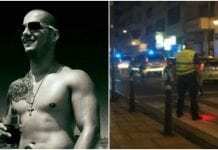 However, sources close to the alleged gang leader, now awaiting trial in Alhaurin prison, claim he just happened to be drinking in the bar at the time. In total, nine people have been arrested, including two Spaniards responsible for transporting the drugs across the country in December. 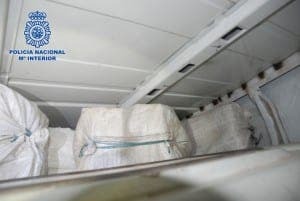 Police intercepted the first delivery in a van carrying 700kg of cocaine – the largest onshore seizure since 1999 – with the rest found in a warehouse near Santiago de Compostela. The Briton, who has a wife and young child, is alleged to have paid €500,000 at one meeting in a Santiago hotel.